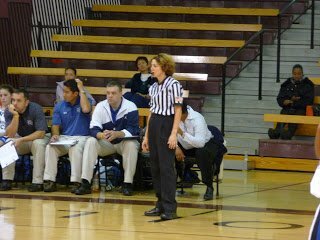 Home Uncategorized Is junior college reffing always this bad? Is junior college reffing always this bad? So I went to Pasadena City College today to check out a junior college game between Santa Monica College and San Bernardino Valley College. The two refs for the game were some of the worst I’ve ever seen. They made WNBA refs look intelligent, if that gives you any idea. They let one team pretty much beat up the other team all game long, and the calls they did make were outrageously bogus. You wondered what game they were watching. Then in the last two minutes of the second half, they called foul after foul after foul. It was literally about six minutes real per 20 seconds off the game clock. All that tension boiled over, and there was almost an altercation on the court during the last game minute. I talked to some of the parents of one team. They said that in a recent tournament in Ventura, they had two refs who called only traveling all game long. 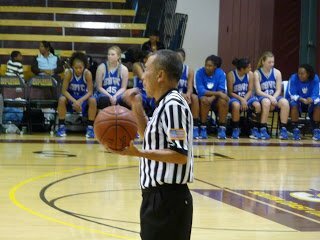 Is junior college reffing always this bad? JC’s deserve good officials too. He was the worst. Just stinky booty bad. She wasn’t a helluva lot better.